Letting go of someone you love is one of the most painful experiences that a person can ever encounter in his life. This is especially true when you have already started thinking about your future and the life that you want to build with your partner. It is painful to think that all the experiences you have shared and the promises that you made would all be thrown away and forgotten. 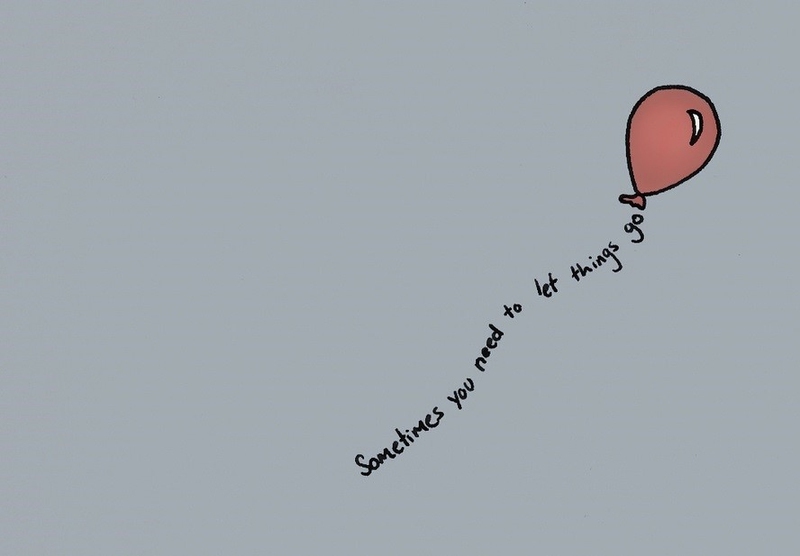 It may take some time but you will soon learn how to let go of someone you love. Breaking up with someone is never easy, especially when you think about waking up the next day and remembering that you are no longer together. You constantly wish for the pain to be over but no matter what you do, all you can think about is the pain that you are feeling. During the first few days and weeks, you would want to suppress the pain and pretend that everything is okay. However, this would only prolong the healing process. The best way to deal with pain is to allow yourself to grieve and cry. Trust the process. You will know when you have already suffered enough and would want to move forward. During the first few weeks after the breakup, you may still attempt to make contact and try to fix the relationship. You keep trying to woo the person back and hope for a second chance. This may be okay for a few instances but if it persists for weeks and if the wooing has suddenly gone awry, then it is time to stop. Continuing to have contact and proactively looking for relationship reminders – photos, songs, memorabilia – would only prolong the healing process. You will truly know how to let go of someone you love if you cut off contact and get rid of everything that will remind you of him/her. It is tempting to go back to all the experiences that you have shared together. After all, at one point in your life, you were at your happiest and you thought that life could not get any better. However, looking back would only remind you that you have gone separate ways. You have to remember that both of you had reasons why it was better to call the relationship off. Remembering only the happy memories would give you false illusions and would hurt you even more. Keep in mind that you can never bring back time and the only thing that you can do is to move forward. Most people think that the breakup happened only out of impulse or that it was based on just a particular instance. However, one must remember that it was a decision that was carefully evaluated by looking at both the circumstances in the past and the scenarios that may occur in the future. When you allow yourself to reflect on your relationship, you will understand that the breakup had to happen. There were signs everywhere – signs that were dismissed and were not resolved immediately. Both of you were not growing anymore and you would only end up hurting each other more if you stayed together. You will be able to move on and know how to let go of someone if you begin to understand why the breakup had to happen. In every breakup, it is easy to believe that only one party is at fault. However, doing so would only result in bitterness and denial. You also have to remember that you also had your own shortcomings. While it is difficult to look back and see where you have gone wrong without having regrets, this process is essential because you would realize your failures and get to know the ways on how you can move past them. Yet, even if you have realized your shortcomings, do not beat yourself up and think that it was you who made the relationship go downhill. Both parties were at fault because they failed to work on it and reach a compromise. When you break up with someone you love, do not stop living life. Again, it is tempting to just wallow and grieve but you have to remember that life would not stop and wait for you. Just because your relationship ended doesn’t mean that you have to end everything else that makes you happy. Use this time to go out and meet your friends, especially those you have not seen in a while. Visit your parents and relatives and catch up with them. Share your experiences to them and see how they have conquered their own heartaches. Remember that a breakup allows you to rediscover yourself and find your own rhythm in this world. If you want to learn how to let go of someone you love, you have to shun all negative thoughts and focus on the good things that you have learned about love and about life. Let new people and possibilities enter your life and change your perspective in ways that you have not imagined. When you start focusing on the good things, you also start forgetting the pain that you are going through. As they say, time heals all wounds. However, this would only work if you went through the right process. It may still be difficult to imagine yourself pain-free and happy again but you have to be reminded of the times that you thought you could not go on but did. As weeks and months go by, you are healing and starting to move forward. Trust the process and you will soon realize that you have finally learned how to let go of someone you love.